I spent the last weekend helping my friends Thomas and Liz paint their new house. It's their first house, and it's all very exciting. Our friends Lauren and Phil were visiting them for about 5 days and we had a painting party: finishing spackling, sanding down rough spots, and painting walls and ceilings. (My new superpower: laying painters' tape. My new nemesis: cabinets.) It was really coming together when I had to leave on Sunday afternoon, and I'm looking forward to seeing the final result, which Liz has promised to document on her blog when it is complete. Update: post about the house, the before pictures, and the painting pictures. As far as I know, there were not actually any roses. Nor was there any red paint. But there was orange and white, which I got all over myself. (Thankfully, not in my hair.) Unfortunately I missed scrubbing the soles of my feet, which I didn't notice until halfway through my work day when a sandal slipped off. Super stylin'. Several people seemed surprised that I would drive up to Pennsylvania to help my friends with house work and call that an enjoyable weekend, and I was equally baffled as to why it wouldn't be an enjoyable time. I got to spend time with my friends and with some friends I haven't seen in quite a while. We got things done that needed doing. Also, I've always sort of enjoyed home improvement projects. It's nice to see firm results. It's very unlike pretty much any aspect of my writing. At work, it is often difficult to tell the impact of what I put into any given project; and although in my graduate school writing projects I do receive grades, grades seem rather meaningless in the scheme of things. So yes, sometimes it's nice to say, "That wall has been painted, and that wall looks damn good right now." Although my ankles and shoulders would like it put on the record that this is all well and good so long as it doesn't become an every single day thing. Also, it involved friends and laughter (never to be under-rated), a new card game, some awesome food, and a trip to the arboretum and to the movie theater to see The Avengers. Because really, I don't think you can see The Avengers too many times. It was even more fun this time because I was with people and we got to do the whole discussing-the-movie-afterwards thing, which I miss out on when I go to the theater alone. There are several things I want to make sure to mention, hence this section. 1. 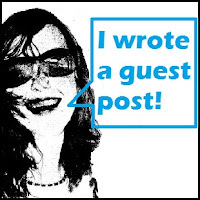 I wrote a guest post. I mustn't forget to mention to you all that I wrote a guest post for Sarah Allen, who wanted guest posts to keep up her daily posting schedule while she was on vacation. I wrote about why you don't have to be friends with everybody, and why that's a good thing. I'm not sure how to say that without it sounding cynical, but I assure you that I did not mean it in a cynical manner. That went up last Thursday and you can check it out here. 2. I still owe you all a post on examples of fantasy culture -- it's coming! Last Tuesday, when Jamie Gibbs rocked it with his guest post on fantasy culture, I asked "What is a good example of "adding culture" in something you have read?" Then I mentioned that I'd elaborate on an example of this in my next post. Well, I'm going to have to put you on hold for that one because I am rereading the book again, and it is a bit of a beast. But stay tuned because it's a great book that if you haven't read it will be worth hearing about. Also, I have a new writer-crush, and that is 100% related to all of this. So bear with me while I work on sorting my thoughts out on this one. Update: this is discussed in my post Why you should read "The Name of the Wind"
3. A resource for writers. I submitted Jamie's awesome post to InkPageant. InkPageant is described as "a parade of blog posts for writers." Basically, it's a collection of blog posts sorted by different categories (events, news, opinion, publishing, reviews, writing) which looks to be a very useful resource for writers. I've found several interesting posts already. Worth checking out if you write. It has been added to my "Resources for Writers" list on the bottom right of this blog, which are resources that I personally use and have found helpful. I periodically update this list. Update: I share my best writing-related posts at InkPageant -- see my InkPageant profile and all my submitted posts here. 4. Someone said nice things about one of my posts that I was iffy about. East.Bay.Writer mentioned my post Make New Mistakes in a link list. I was flattered to see it described as a "very well written rant." That is one of the posts I am never quite sure about when I hit the "publish" button and then consider deleting later because I'm just not sure if I said what I was trying to say or not. So thanks to East.Bay.Writer. Do you like pitching in on projects with friends or family? Say it's a holiday dinner: do you organize potluck, or do you do it all yourself?